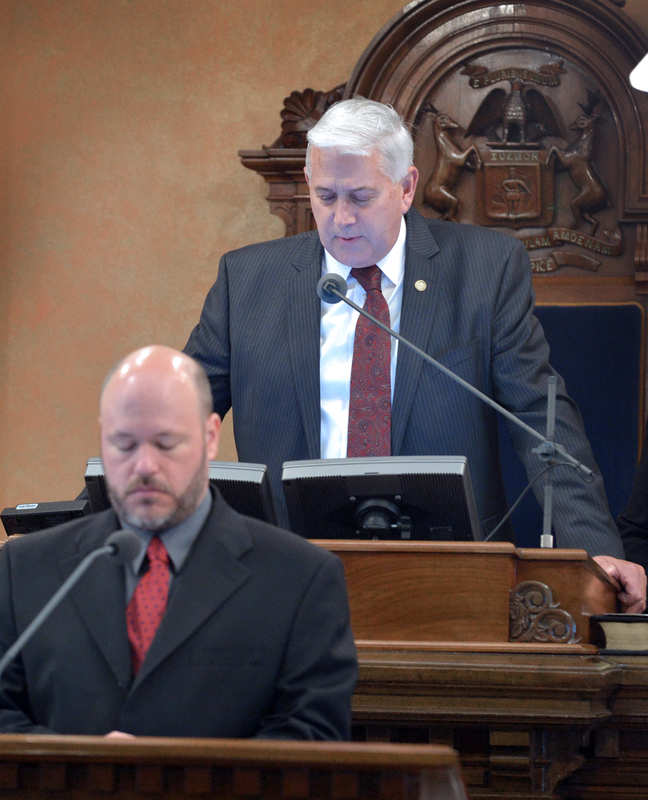 LANSING — State Sen. Ken Horn, R-Frankenmuth, delivered the Senate invocation Thursday morning in honor of the National Day of Prayer, which falls on the first Thursday in May each year. A print-quality photograph of Horn speaking is available by clicking on the image or by visiting the senator’s website at www.SenatorKenHorn.com. Click on “Photowire” under the Media Center tab.